A new V4 Wood Flooring display area has just been installed in our Walton-on-Thames showroom. 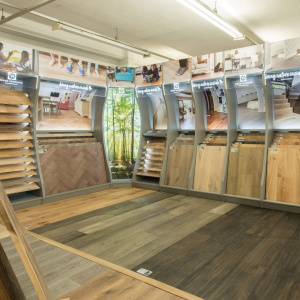 While we have been supplying and installing V4 wood floors for many years, our new and improved display area means you can now view the myriad of wood floors styles available in the extensive V4 collection in impressive, larger sized samples. 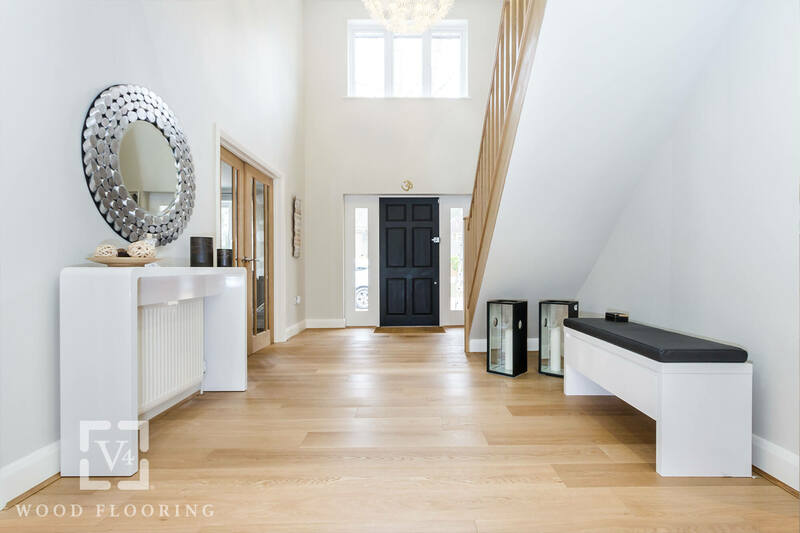 Bring nature inside is at the core of V4 Wood Flooring, one of the leading UK wood floor specialists. 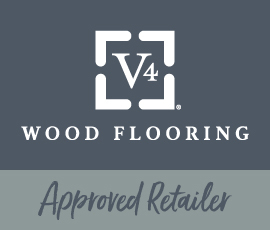 With a reputation for providing high quality and contemporary real wood floor solutions, V4 has developed advanced production and colouring techniques to constantly evolve their flooring collection and deliver the ultimate palette of wood floor finishes, colours and size options that meet the latest interior trends. 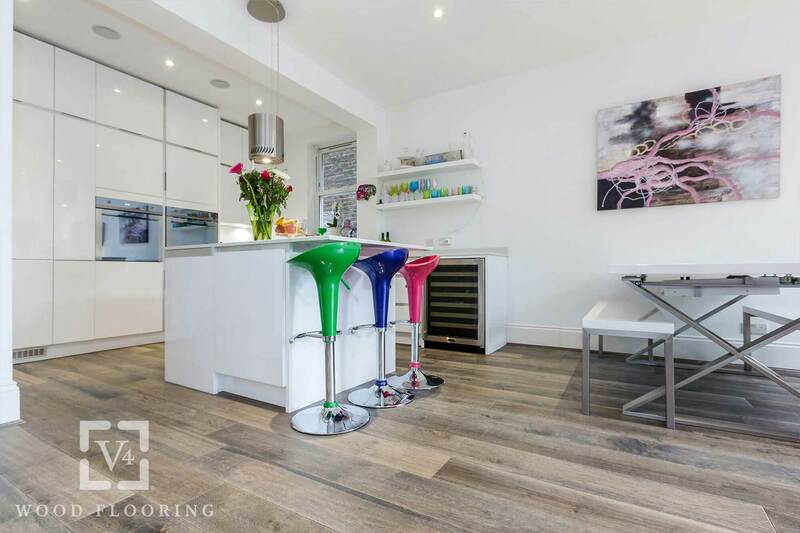 There really is a floor style, colour and format to suit every taste. 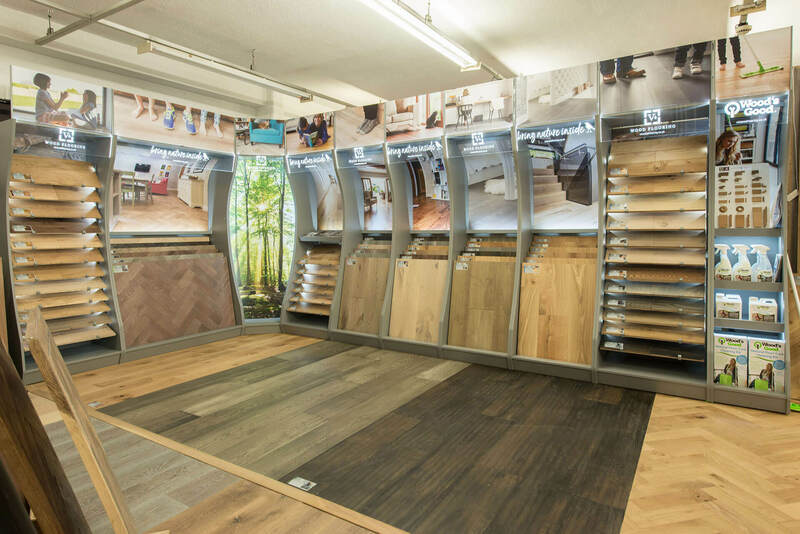 Here is just a taste of some of their wood floor ranges which you can view in store. The trend for modern parquet floors continues to rise and the Zigzag Collection offers precision milled oak blocks that have a simple tongue and groove profile, making installation quick, easy and versatile, especially compared to solid oak blocks. Choose from seven contemporary colours and a range of laying patterns. 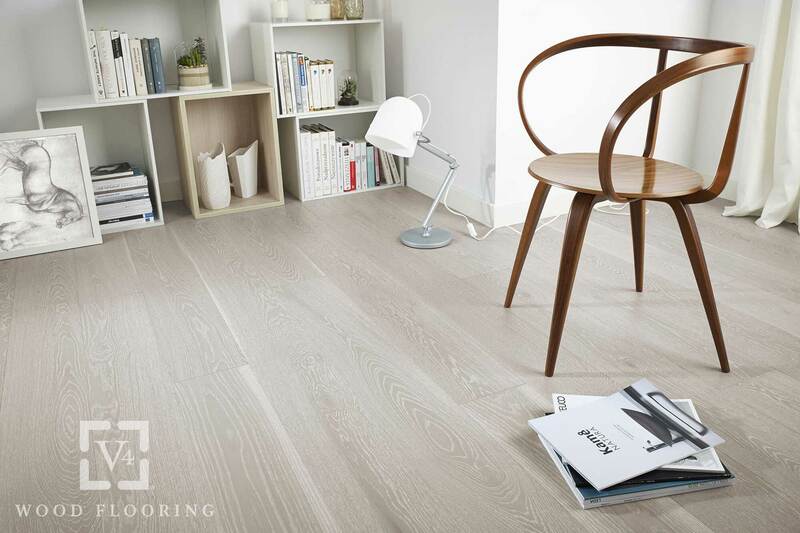 A long standing oak plank collection by V4 Wood Flooring which still remains on trend and hugely popular. Urban Nature delivers textured stained oak floors inspired by city spaces reclaimed by nature – the result is a collection that is contemporary in style and authentic in character. 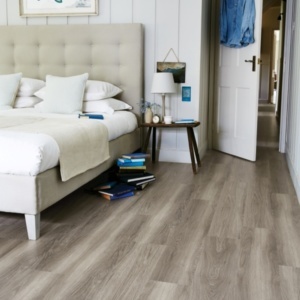 The Alpine collection offer standard planks, wide planks and three-strip ranges, all oozing with classic oak style. You can choose from a menu of different surface treatments ranging from unfinished to natural oiled for subtle smooth oak style, and lacquered to UV cured for highly textured and durable surfaces. Landscapes introduces beautiful extra wide boards, produced with hand rendered European Oak surfaces which are hand treated to deliver surface finishes packed with modern character. 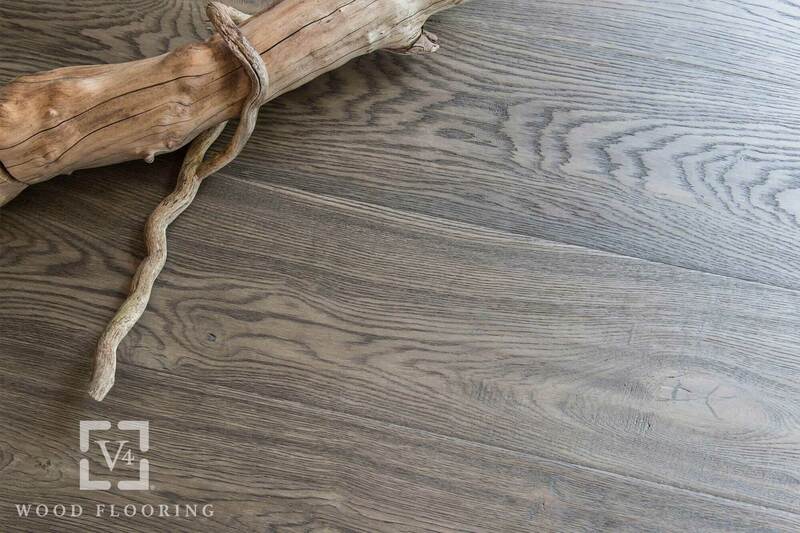 Inspired by natural tones found in our organic landscape, the surface of each board has been hand scraped, planed and distressed, following the natural contours of the oak surface. 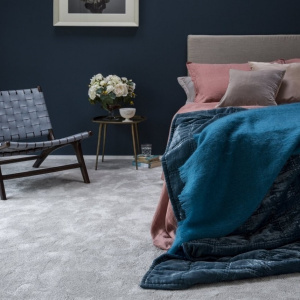 A brand new collection, V4’s Alpine lock features four distinctively different tones which offer subtle shades full of soft warmth and character. The oak top layer is applied to a 5Gc glueless locking profile so the planks click into place to lock together tightly, removing the need for glue or screws to secure the boards in place. These are just a few examples of the wide range of wood floor styles you will find in the full V4 Wood Flooring collection. 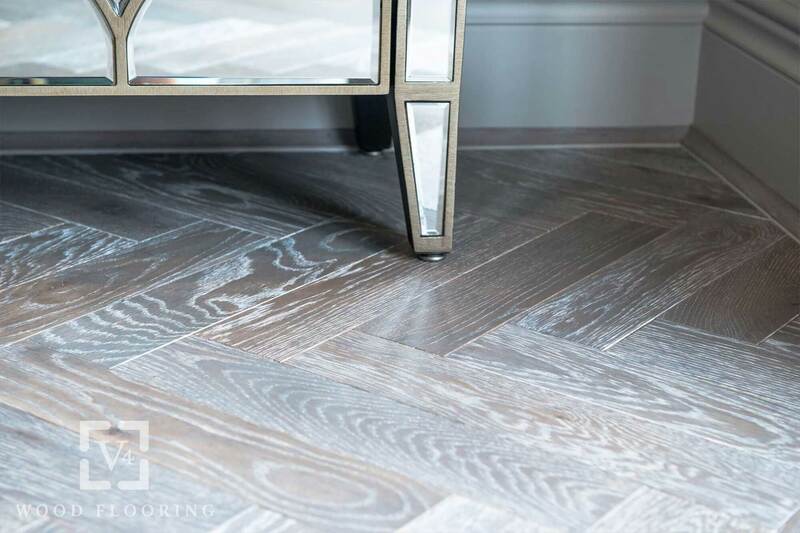 Whether you are looking for light white tones, modern greys or rich character; parquet, multi size or extra wide plank styles, we recommend a visit to our wood floor design space in our Surrey showroom where we can help you find the perfect wood floor for your next project.